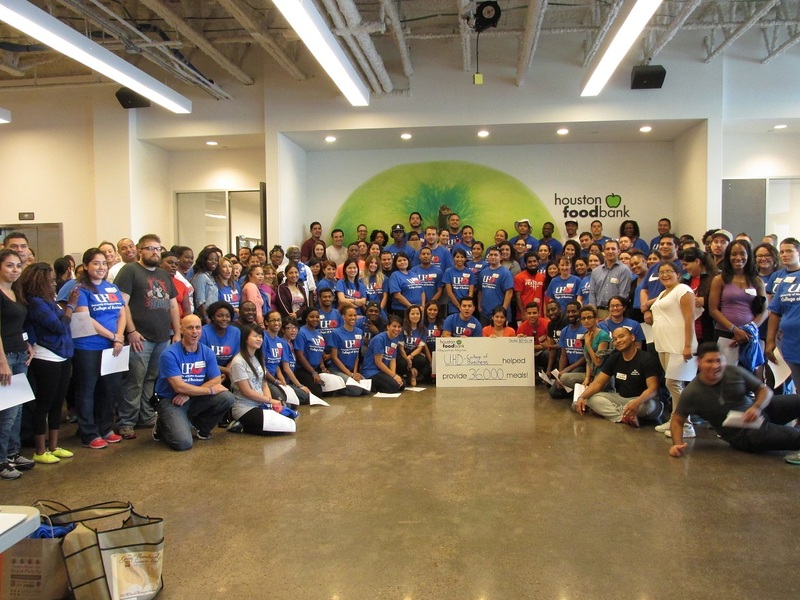 More than 500 College of Business students from the University of Houston-Downtown made a difference in the lives of local children by participating in a service learning experience at the Houston Food Bank on Saturday. The students worked on the Backpack Buddy assembly line, where they packaged cereal, juice, dried fruit, applesauce and other nonperishable food items for elementary students on subsidized lunch programs to take home for the weekend. 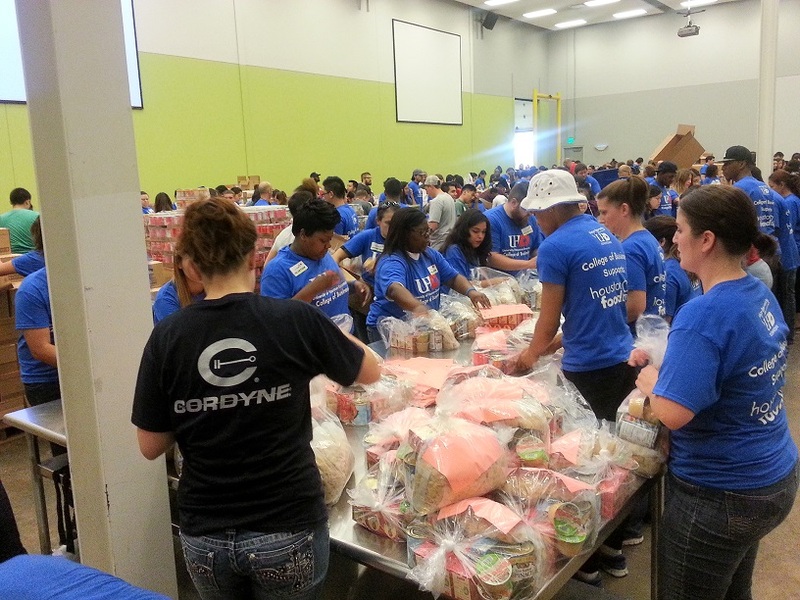 The team packaged 36,000 meals in just four hours of service. The final part of the project requires the students to write a reflective paper on their experience at the Food Bank. The college has scheduled a second visit to the food bank on Oct. 18, and more than 400 students have already registered to participate. Following such a successful event and record participation, the college plans to make it a regular occurrence. Lucille Pointer, chair of the Department of Management, Marketing and Business Administration, says it was a memorable experience that the University should continue to provide for students. These kinds of projects are important because they instill in students "educational value and the opportunity to give back to the local community," she says.